Our team of Hamilton personal injury solicitors specialise in helping people reclaim compensation after suffering an accident that was somebody elses fault. Our specialist legal team are highly qualified and highly experienced personal injury specialists and are equipped to take on any kind of injury claim. If you live in Hamilton, South Lanarkshire and have suffered an injury caused by someone else, our team of experienced and skilled solicitors can help you to get the compensation you deserve. Why Should I Use Hamilton Personal Injury Solicitors To Handle My Claim? Our solicitors provide a service that ensures every one of our clients gets the very best representation possible. Our personal injury solicitors are dedicated to providing top-quality client service as well as unrivalled legal expertise, helping you to feel calm, confident and comfortable throughout the claims process. From the moment you begin to work with us, we’ll do everything we can to help you – answering all your questions in a clear and concise way without bombarding you with legal jargon. The initial consultation you receive from our personal injury solicitors Hamilton team is completely FREE, meaning you’ll never have to pay a penny for our services upfront. Our solicitors for Hamilton work strictly on a No Win, No Fee basis, this means we will take a pre-agreed with you percentage of your successful claim pay-out. We’ll also arrange calls and any meetings at times that suit you, meaning you won’t have to miss work or put your life on hold whilst the case is ongoing. Should I Make An Injury Claim For My Injuries? We will help you to get the compensation you need to pay for any medical costs or psychological help required to recuperate from your accident. What Types Of Personal Injury Claims In Hamilton Can You Handle? We’ve helped hundreds of clients who have been involved in road traffic accidents, including people who were driving and also people who were hurt as innocent bystanders. We’ve also claimed compensation for passengers who suffered injury whilst on Hamilton public transport. Employers have a legal obligation to provide their employees with a safe working environment. 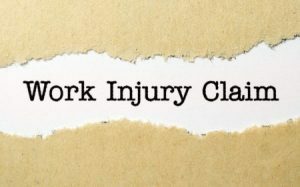 Should you have had any kind of injury at work – whether it’s cuts and bruises from a fall or more serious long-term injuries caused by faulty equipment – we can help you to claim compensation. Public property and business premises owners are under legal obligation to make as sure as possible that their environments are safe. Should you have hurt yourself on public property or business premises, we can investigate your accident to see if adequate safety measure were in place and whether you ought to be paid compensation. What Does The Claims Process Involve? Our Hamilton team of injury lawyers make personal injury claims simple and easy. We will take the time to carefully explain each part of the process and ensure you are updated at every step along the way. Typically, a case begins with a consultation, where our legal team will ask you a few questions regarding your injury in order to determine whether you have a viable claim. ● When and where did your injury occur (Hamilton or elsewhere)? ● Have you any witnesses? ● What kind of injury/injuries did you suffer? ● Have you undergone any kind of medical treatments because of the injury? ● Do you have any evidence that will support your claim? This can include reports from any eye-witnesses, police reports, photographic evidence of the accident and video recordings of the incident. Our team can help you gather this information. After determining the validity of your claim, our Hamilton legal team will then contact the person/party who you think is at fault for causing your injuries. This person (known as the defendant) must respond to our letter within 12 weeks. If they admit liability, the case can be settled out of court. If they refuse to admit fault, the case will go before a judge. No matter what direction your case heads in, our Hamilton injury solicitors are guaranteed to stick by you t all times, offering a dedicated high-quality legal service that gives you the best possible chance of receiving financial compensation. What Amount Of Compensation Will I Ultimately Receive? Every personal injury claim is unique, but once we’ve heard your account of the accident and gathered as much evidence as possible, our Hamilton legal team shall be able to supply you with an estimated compensation figure. This amount may be subject to change during the course of the claims procedure, but we’ll keep you updated to ensure you understand exactly what’s happening at every stage. We can’t promise you how long it will take either but rest assured that we will do everything in our power to ensure as speedy resolution to your case as possible. If you’re in the Hamilton area and sustained injuries as a result of an accident, contact our personal injury lawyers today on 0800 073 8804. Our friendly and approachable team will be happy to discuss your case in detail or just have an informal chat about possibly pursuing a claim. Whatever you need, we can help.